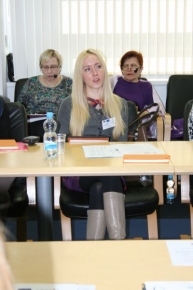 On 1 January 2015, the Ministry of the Interior of Latvia, with support from the Prevention of and Fight against Crime Programme (Directorate-General for Home Affairs of the European Commission), launched the project “Preventing Human Trafficking and Sham Marriages: A Multidisciplinary Solution” (HESTIA) involving public and non-governmental organisations from six countries – Latvia, Lithuania, Estonia, Finland, Slovakia, and Ireland. The aim of this transnational project is to address the issue of marriage of convenience in Latvia and Europe in general creating a common understanding of a new form of human trafficking, i.e. trafficking in human beings through marriages of convenience, providing a specific definition of this form of human trafficking, and proposing a comprehensive approach to its prevention. The aim of this article is to explain the concept of marriage of convenience and clarify the differences between the terms used to denote this concept in the Latvian and English languages. According to the Council Resolution of 4 December 1997 on measures to be adopted on the combating of marriages of convenience, a marriage of convenience is a marriage concluded between a national of a Member State or a third-country national legally resident in a Member State and a third-country national. Factors which provide grounds for believing that a marriage is one of convenience include but are not limited to the absence of matrimonial cohabitation, spouses have never met before their marriage, spouses do not speak a language understood by both etc. Thus it is in fact a marriage concluded with a third-country national in order to legalise his/her residence in the EU with no intention to create a family. The issue of marriage of convenience was raised in Latvia in 2006; this problem was, however, tackled more seriously by the Society “Shelter “Safe House”” which implements the said HESTIA project together with the Ministry of the Interior. From 2010 to 2014, the Society specialists prepared 27 applications to court to have marriages declared void starting from the moment of their conclusion, out of which nine cases have already been examined. Thus it may be concluded that judgements are given in such cases, and the relevant case law is established. Marriage of convenience is one of the most common forms of human trafficking, unfortunately human trafficking has not been much explored in Latvia, while marriage of convenience has not been studied at all. It should, however, be taken into consideration that marriage of convenience affects not only separate individuals or states but also the EU as a whole, posing risks such as uncontrollable migration, other cross-border crimes and the formation of new Muslim communities (formed of children born in marriages of convenience). Project promoters have indicated that such marriage is referred to differently in the Latvian language, namely aprēķina laulība (marriage of convenience), darījuma laulība (marriage as a deal), fiktīva laulība (fictitious marriage) and piespiedu laulība (forced marriage). Therefore it is not entirely clear which of these variants is the most appropriate to denote the specific concept. In order to clarify it, each variant should be examined individually. Aprēķina laulība (marriage of convenience, commonly also called laulība aiz aprēķina) traditionally has a different nuance in Latvian. Aprēķins is a consideration in self-interest, thus aprēķina laulība (marriage of convenience) is a marriage contracted in self-interest. When concluding a marriage none of the spouses is actually asked whether they are entering into the marriage for selfish reasons or for love. In this case the family is created on the basis of material considerations, however, the fact that the marriage is concluded in self-interest does not necessarily mean that the spouses are not willing to create a real family. The designation aprēķina laulība (marriage of convenience) was already well known at the beginning of the 20th century, as can be seen from publications in the press, for instance, in 1914, the newspaper Jaunā Diena wrote: “Francija ar viņas birģeliskajiem ietaupīšanas ideāliem ir izvērtusies par klasisku aprēķina laulību zemi” (France with its philistine saving ideals has turned into a classical country of marriages of convenience). Such marriages have often been described in literature, and usually depicted negatively. A classical example of aprēķina laulība (or marriage of convenience) is reflected in the Latvian novel “Agrā rūsa” (1944) written by Elīna Zālīte, in which the young and poor Elza gets married to the old rich manufacturer Ķikulis. It should be pointed out that the idea of marrying for love rather than for social, economic or political reasons only emerged in Western culture in the 18th century. Enlightenment ideas which included the pursuit of happiness advocated marrying for love, and the Industrial Revolution actually made it possible. Thus the majority of marriages entered into before may be considered aprēķina laulības or marriages of convenience. Darījuma laulība (marriage as a deal) – the first word darījums (or deal, transaction in English) is a legal act by which legal relations are established, changed or terminated, or an arrangement on some (usually commercial) issue, for example, a business deal. The Obligations Law Part of the Civil Law (CL) of Latvia defines a lawful transaction as “performance of a permissible action to establish, change or terminate lawful relations” (Section 1403 of the CL). Thus this designation emphasises the legal nature of the marriage. It should be pointed out in this context that the Latvian Council of Notaries Public, coming up with a suggestion that notaries in Latvia should also be allowed to register marriages, emphasised exactly the legal dimension of the marriage as a deal or transaction. Their invitation to officially arrange mutual relations is in principle a suggestion to enter into a lawful transaction which establishes legal relations. It follows that a marriage is a lawful transaction in order to establish legal relations, therefore the designation darījuma laulība (marriage as a deal) is more suitable to an ordinary rather than fake marriage. Fiktīva laulība (fictitious marriage) – although the CL does not contain the term fiktīva laulība (or fictitious marriage), its Section 60 clearly states that “a marriage which has been entered into fictitiously, namely without the intent to create a family, shall be declared annulled”. It results from this section that a marriage without the intent to create a family is considered a fictitious marriage. The word fiktīvs (fictitious) has been used in the written Latvian language since the end of the 19th century with the meaning “fake, false”. The contemporary Latvian Dictionary of Legal Terms also explains the word fiktīvs (fictitious) as something imaginary or not true. Moreover, Section 250 of the Criminal Law of Latvia contains a reference to fiktīvs dokuments (a fictitious (false) document). The word fiktīvs (fictitious) adds a touch of wrongdoing to this word group and also indicates intentional motivation. It is also important that this variant has been used to denote such marriages for a long time. The word group fiktīva laulība (fictitious marriage) was already known at the beginning of the 20th century. On 19 June 1946, the Latvian newspaper Latvju Ziņas, which was published abroad, informed that “Zviedrijā pēdējā laikā ārzemnieces bieži noslēdzot ar zviedriem fiktīvas laulības, lai iegūtu pavalstniecību un varētu palikt šai zemē...” (Recently, foreign women in Sweden tend to conclude fictitious marriages with Swedish men to acquire citizenship and stay in this country...). Moreover, the public has accepted and approved this variant. It may also be found in the Latvian translation of the Council Resolution of 4 December 1997 on measures to be adopted on the combating of marriages of convenience done by the former Translation and Terminology Centre (after reorganisation merged with the State Language Centre), as well as in the Study on Family Law for Modernisation of the Family Law Part of the Civil Law, judgement of the Regional Administrative Court etc. Traditionally the designation piespiedu laulība (forced marriage) has a different shade of meaning in the Latvian language. The word piespiedu (forced) means something that is happening forcibly and is related to forcing (for instance, forced labour). According to the Latvian Dictionary of Legal Terms, piespiešana (forcing) means that a person’s will is affected by threats or violence in order to make this person do or, on the contrary, refuse to do some act in the interests of the person which is applying the force. A reference to threats may also be found in Section 67 of the CL which prescribes that “a marriage may be declared annulled, if it has been contracted under the influence of criminal threats”. This means that such marriage would be considered piespiedu laulība (forced marriage). This designation was, however, also commonly used in different cases. If a woman was pregnant in an unregistered relationship and her man was forced to enter into marriage with her for this specific reason, people used to say that this was piespiedu laulība (forced marriage), rather than a real one. In this case the forcing constituted the public pressure, morality of that time or the man’s own code of honour, instead of threats or violence. The English equivalent of piespiedu laulība is forced marriage. It is a marriage conducted without the valid consent of one party (or both parties) where duress is a factor. While such marriages are becoming increasingly less common among the developed countries in all regions of the world, they are still concluded in Africa and South Asia, but also persist in certain areas of the former Soviet Union (e.g. Kyrgyzstan, Kazakhstan). Forced marriage is a significant violation of internationally recognised human rights as the marriage shall only be entered into with the free and full consent of the intending spouses (Article 16(2) of the UN Universal Declaration of Human Rights). Representatives of the Ministry of the Interior have indicated within the framework of the HESTIA project that marriages of convenience are often called piespiedu laulības (forced marriages) in the context of human trafficking which, however, does not really correspond to the traditional understanding of forced marriages discussed above, as marriages of convenience are usually conducted voluntarily, with Latvian women clearly giving consent to the marriage. Yet it should be noted in this respect that the study conducted by the Resource Centre for Women “Marta” in 2014 revealed that the persons who arrange these marriages use the vulnerability of the women to manipulate them, therefore it is actually disputable whether it is really the free will of the women. Moreover, some of the women who agree to marriages of convenience have mild or moderate mental health problems which again causes doubt as to their conscious and intentional consent to such a serious union as marriage and whether they are actually fully aware of the consequences of this union. In light of these considerations such marriages might be considered fictitious marriages with elements of forced marriages. The HESTIA project also brought up the issue of different English terms used to describe the relevant concept. The Terminology Commission of the Latvian Academy of Sciences has often observed in its work that Latvian language users become confused when facing a situation where a variety of terms is used in English to describe one concept, and start looking for different designations for seemingly different concepts. Several terms are constantly used in English without emphasising one specific or better variant. This is explained, first of all, by a traditionally more relaxed approach to language as such, as English is spoken by so many people that no one has to worry about preservation or extinction of the language. Secondly, this is rooted in historical traditions, as one term is often used in the USA, another in the United Kingdom (UK), and another in the EU. However, in principle these terms should often be translated the same in the Latvian language, therefore it is nothing peculiar if several English terms have only one Latvian equivalent. This also refers to English terms such as sham marriage, false marriage, fictitious marriage, bogus marriage, marriage of convenience and marriage in convenience which are all used to describe the same type of marriage. According to the information on the Web, the term sham marriage is mostly used in the UK which is also strengthened on the legislative level, namely in the Immigration Act 2014. Although this term is also used in the USA, the term used on the legislative level is marriage fraud. Moreover, it should be taken into consideration that a person who commits marriage fraud in the USA faces criminal penalties. Terms such as fake marriage and bogus marriage are also common in English and American texts, yet these are mostly informative rather than legal texts. In contradistinction to the previous variants, the term fictitious marriage can mostly be found in documents translated into the English language. Native English speakers rarely choose this term. Latvians also prefer the term fictitious marriage when translating documents from Latvian into English which might be a direct influence of the Latvian term fiktīva laulība. Marriage of convenience is the official term to describe such marriage at the EU level. This in principle corresponds more to the Latvian term aprēķina laulība (marriage of convenience) than the term fiktīva laulība (fictitious marriage), yet the European Commission has selected it as the basic term to denote a false marriage related to immigration problems. It could be viewed as a politically correct term which somehow evades calling a spade a spade but nevertheless does not change matters much. Moreover, in practice it does not prevent countries such as the UK from sticking with their own traditional term. When deciding in favour of one or the other English term, it should always be kept in mind that translation is not an abstract issue of equivalence which is separated from real activities, but rather a comprehensive social process which involves different factors, including end users of the translation. Use of the term officially selected by the EU, i.e. the term marriage of convenience, is a safe choice, at least on the European level, however, according to the data from the Ministry of Foreign Affairs of the Republic of Latvia, most of the marriages of convenience are concluded in Ireland, Cyprus and the UK, therefore when contacting their institutions and law enforcement authorities, a just as good (or maybe even better) solution would be the term sham marriage. The public authorities and non-governmental organisations in Latvia involved in addressing the issue of marriage of convenience should seriously consider whether the use of the term piespiedu laulība (forced marriage) to describe a marriage of convenience in the context of migration is the best choice, as it could be in conflict with the traditional understanding of forced marriage. Taking into consideration that these marriages are fake marriages (concluded without the intent to create a family), and contain some elements of forced marriage (manipulation, possibly threats), they could be called fiktīvas piespiedu laulības (forced marriages of convenience). Introduction of such subdivision should, however, be carefully considered, as the term fiktīva laulība (fictitious marriage) has been approved and accepted by society, and in most cases it is exactly understood as a marriage with a third-country national with the sole aim of legally residing in the EU. When translating documents from Latvian into English, it should be understood that the Latvian term fiktīva laulība (fictitious marriage) has several English equivalents which correspond to the relevant concept. Yet two basic terms are brought out in the European context which are marriage of convenience and sham marriage, and the choice between one or the other might largely depend on the end user of the translation. Mg. Astrīda Vucāne informed participants of the Third Baltic Student Conference “Bridges in the Baltics” held in Vilnius, Lithuania on 2 – 3 October 2015 about the HESTIA Project and did the presentation “Marriage of Convenience from the Terminological Aspect”. Saliņa, R. With the support of the European Commission Latvia and five EU countries have launched an ambitious project to reduce sham marriages. 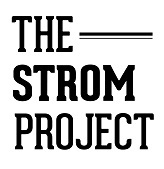 Available: http://www.trafficking.lv/en/preventing-human-trafficking-and-sham-marriages-a-multidisciplinary-solution-hestia [Accessed 20.09.2015]. [No author] HESTIA info sheet. Available: http://patverums-dm.lv/svs/uploads/files/info_sheet_hestia.pdf [Accessed 20.09.2015]. Council Resolution of 4 December 1997 on measures to be adopted on the combating of marriages of convenience (97/C 382/01). Available: http://eur-lex.europa.eu/legal-content/EN/TXT/PDF/?uri=CELEX:31997Y1216(01)&from=LV [Accessed 20.09.2015]. Saliņa, R. With the support of the European Commission Latvia and five EU countries have launched an ambitious project to reduce sham marriages. Materials of the national round-table meeting held within the framework of the HESTIA project on 19 March 2015. For the purpose of this article the term “designation” is understood as a sign representing and expressing the concept. Dictionary of Basic Linguistic Terms. Comp. by O. Bušs, D. Joma, A. Kalnača, I. Lokmane, D. Markus, I. Pūtele, V. Skujiņa (ed.). Riga: Latvian Language Institute of the University of Latvia, 2007, p. 41. Consideration. Latvian Dictionary. Riga: Avots, 2006, p. 77. [No author] Jaunā Diena, No. 16, 1914, p. 3. Lipša, I. Sexuality and Social Control in Latvia 1914-1939, Riga: Zinātne, 2014, p. 305. Deal. Latvian Dictionary, p. 222. Civil Law: Law of the Republic of Latvia. Available: http://likumi.lv/doc.php?id=90220 [Accessed 20.09.2015]. Letter No. 1-11/3912 of 10 October 2014 by the Latvian Ministry of Justice to the Judicial Policy Sub-Commission for the Legal Commission of the Latvian Saeima On proposals for regulation of free legal professions (sworn notaries and sworn bailiffs). Available: http://titania.saeima.lv/livs/saeimasnotikumi.nsf/0/bdefeaea184b586bc2257d70002a0d68/$FILE/TM_bri.prof_uzsedi14.10.2014df.pdf [Accessed 20.09.2015]. Fictitious. Dictionary of Legal Terms. Comp. by a group of authors under the guidance of I. Krastiņš. Riga: Nordik, 1998, p. 73. Criminal Law: Law of the Republic of Latvia. Available: http://likumi.lv/doc.php?id=88966%2520 [Accessed 20.09.2015]. [No author] Latvju Ziņas, No. 46, 1946, p. 1. Lībiņa-Egnere, I. Study on Family Law for Modernisation of the Family Law Part of the Civil Law. Available: www.tm.gov.lv/lv/documents/.../petijums_gimenes_tiesibas_12.doc‎ [Accessed 25.09.2015]. See judgement No. AA43-1254-08/18 given by the Regional Administrative Court in case No. A42448707 on 25 February 2008. Available: http://www.l2d.lv/v.php?i=18850 [Accessed 24.09.2015]. Forced. Latvian Dictionary, p. 844. Forcing. Dictionary of Legal Terms, p. 204. The term “equivalent” is understood in linguistics as a language unit which carries out or is able to carry out the same function as another language unit. Dictionary of Basic Linguistic Terms, 2007, p. 104. Home Office (2000) A Choice by Right: The Report of the Working Group on Forced Marriage. Available: http://cdn.basw.co.uk/upload/basw_22604-2.pdf [Accessed 30.09.2015]. Thomas, Ch. Forced and Early Marriage: A Focus on Central and Eastern Europe and Former Soviet Union Countries with Selected Laws from other Countries. Available: http://www.un.org/womenwatch/daw/egm/vaw_legislation_2009/Expert%20Paper%20EGMGPLHP%20_Cheryl%20Thomas%20revised_.pdf [Accessed 25.09.2015]. The UN Universal Declaration of Human Rights. Available: http://www.un.org/en/universal-declaration-human-rights/ [Accessed 25.09.2015]. Bite D., Krolovs R., Prīsta S., Zitmane M. Recruitment for Human Trafficking and Image of Women Online, 2014. Available: http://marta.lv/docs/1283/2014/Drosibas-Kompass_petijums_MARTA.pdf [Accessed 25.09.2015]. See, for instance, minutes No. 3/1121 of the meeting held by the Terminology Commission of the Latvian Academy of Sciences on 17 February 2015. Available: http://termini.lza.lv/index.php?category=16 [Accessed 26.09.2015]. Immigration Act 2014: Act of the United Kingdom. Available: http://www.legislation.gov.uk/ukpga/2014/22/contents [Accessed 25.09.2015]. Bray, I. Immigration Marriage Fraud Laws and Penalties. Available: http://www.criminaldefenselawyer.com/crime-penalties/federal/marriage-fraud-citizenship.htm [Accessed 05.10.2015]. Robinson, D. What is Translation? Centrifugal Theories, Critical Interventions. Kent, OH: Kent State University Press, 1997, p. 25. [No author]. Consular Department of the Ministry of Foreign Affairs: on 12th November it was the first time the discussion on an increase of marriages of convenience gathered so many institutions involved. Available: http://www.mfa.gov.lv/aktualitates/zinas/27995-arlietu-ministrijas-konsularais-departaments-12-novembri-notikusi-diskusija-par-fiktivo-laulibu-tendencu-pieaugumu-pirmo-reizi-pulcejusi-tik-plasu-iesaistito-instituciju-dalibu [Accessed 21.09.2015].